Mrs. Jeanne Furr has a Masters Degree from Texas Tech University. 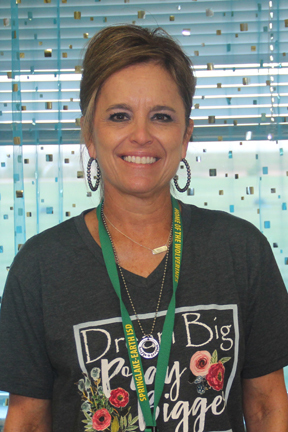 She works in 504, ESL, and RTI programs at Springlake-Earth ISD. She and her husband Jim have two sons. Quade and his wife Brittany have two children - Haidyn and Grayson. Chance and his wife Kaycee are expecting their first son - Mason McQuade - in September. Jeanne enjoys reading about nutrition and exercise, a good Bible study, music and family time.